I used the embroidery machine and 3D printer for the first time for Costume as Game Controller class. For someone who doesn’t always enjoy crafting individual items by hand, digital fabrication is awesome. The ability to make things accurately without having to be extremely detail oriented in the fabrication process and the ability to make multiples without error is pretty powerful. The downside to all this is that the printed item loses the look and feel of human touch, unless it would be painted, assembled, or modified later. Another downside is the limitations of the technology that’s available to us right now. We also went over a range of different sensors today. 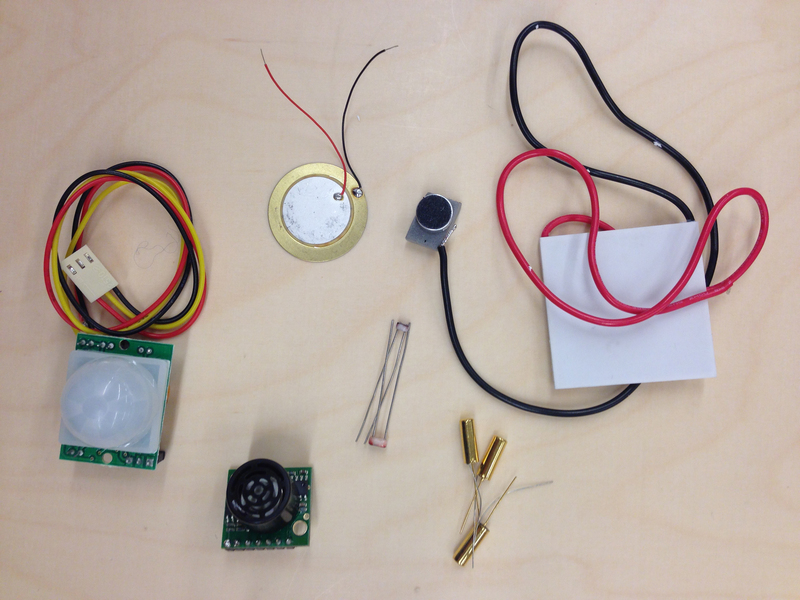 It was great to build a repertoire of sensors for future projects. Scroll down for information about them. I’ll post gifs or videos of us testing them in the next few days. Kaho demo 1 from Jiashan Wu on Vimeo. Kaho demo2 from Jiashan Wu on Vimeo. Kaho demo 3 from Jiashan Wu on Vimeo. Testing the tilt switches. It’s a driving wheel!